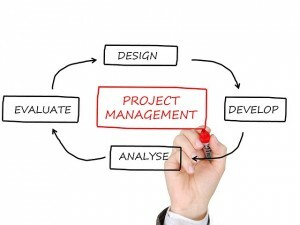 The key to successful project portfolio management revolves around dynamic project managers. The pivotal role of the project manager is to plan and execute a project from start to finish, overseeing (and motivating!) a team of people in the meantime to set all the pieces in motion at the right time. Successful project managers are a rare breed. The Ability to Delegate. Good project managers know that their role is to manage, not do, the project. 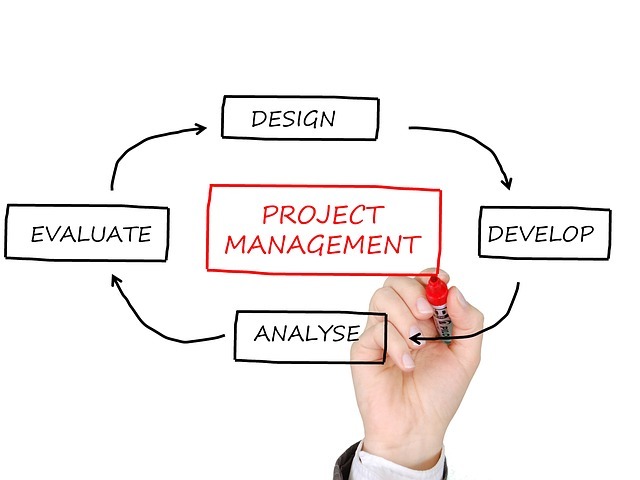 The project manager should have a high-level overview of the project and the tasks that need to be accomplished in order to achieve the end goal. Then, he or she should delegate those tasks to the best employee for the job. Motivational and Coaching Skills. A poor project manager might get frustrated after delegating tasks and seeing that the work has been done substandard. Such a project manager might say, “Never mind, I’ll just do it myself!” But in the long run, this strategy will backfire over and over again. The same problem will crop up until the project manager coaches the employee(s) in how to do the work to meet expectations. Good project managers recognize weak areas and bolster their employees to help them grow, not tear them down for their honest mistakes. Enthusiasm for the Project. Enthusiasm is contagious, and a positive attitude has to start with the project manager. If the manager is bored with the project, the employees will be too. If, on the other hand, the manager exudes optimism and fully supports the work of his or her team, then employee satisfaction is more likely to be high. Excellent Communication Skills. There’s no room for a wishy-washy or vague project manager in businesses that value efficiency. Managers need to communicate well not only with the employees they manage, but also the higher-ups. Frequent and very specific communication is key. Action items should have clear due-dates and assignees, for example, and negative feedback should be delivered with tact but never avoided altogether. A Knack for Organization. This is where a project portfolio management tool can make all the difference. When there are multiple ideas and projects that require attention, project managers need to know what’s happening at all times. Even the most focused and organized individual can lose track of important information. Successful project portfolio management hinges on a dynamic organizational system and an ability to use such a tool to its maximum potential. The Ability to Stay Level-Headed. When conflicts or problems inevitably arise, it falls to the project manager to work out a solution. Knee-jerk reactions have no place in the meeting room. A level-headed response to challenges helps keep projects moving ahead while also maintaining employee morale. Persistence and Perseverance. As the saying goes, “When the going gets tough, the tough get going!” A project manager should be the last person to back down to a challenge. When emails are ignored, the manager should pick up the phone or arrange to speak in person. When product testing feedback is negative, a solution-oriented mindset is necessary to revitalize the project. In short, a good project manager naturally has a “never say die” attitude. The Ability to Creatively Problem Solve. A persistent and persevering person is also a problem solver. When a bump occurs in the project’s original road map, the project manager smoothes it out. It does not matter if this problem relates to funding, human resources or any other aspect of the project; the manager’s mission is to see the project to completion (and to uphold the highest standards possible). Being surprisingly hard to come by, successful project managers are worth their weight in gold. They have a track record of high-quality projects on their roster and are respected by the people who work with them—both above and below them on the corporate ladder. If you’re looking to promote a current employee to the position of project manager, their leadership skills may have already bubbled up to the surface; if not, look for these 8 traits to pick a great candidate. Interesting read. A good project leader must be a cultural leader, good listener, a good communicator as well and must be the one who imparts the sense of leader to team members for them to feel the responsibility and be a future leader themselves.